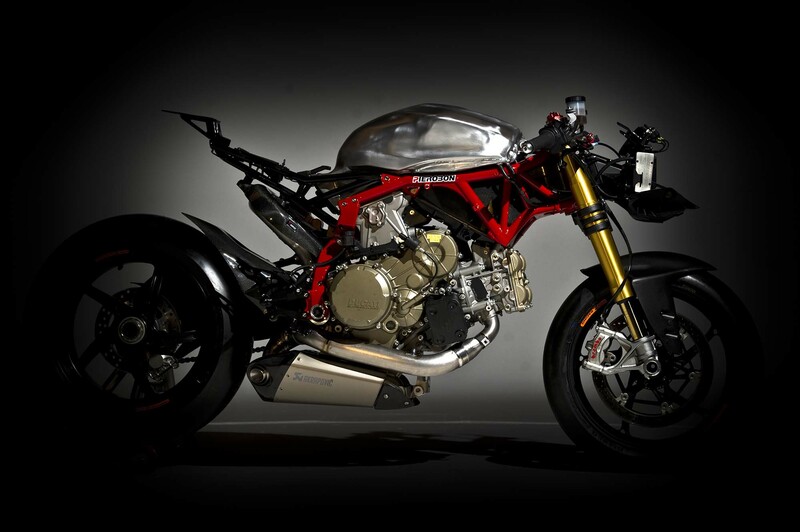 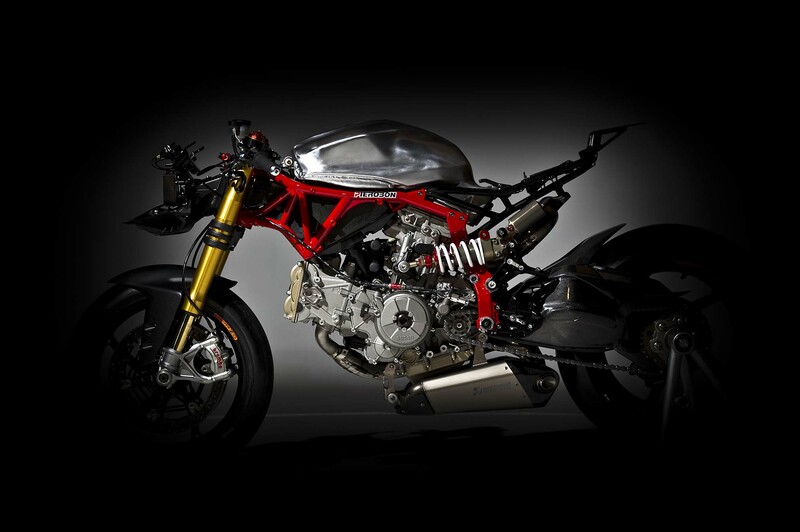 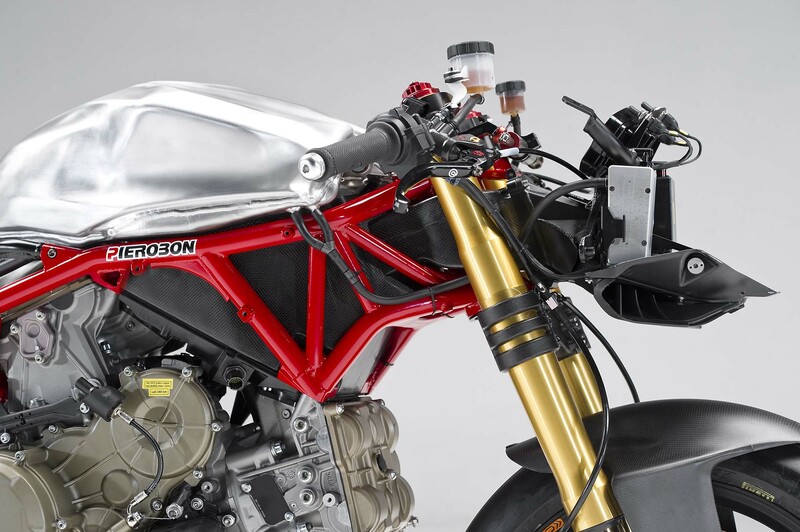 We already teased you with Pierobon’s newest creation, a trellis frame kit for the Ducati 1199 Panigale, and now we have the full details of this Italian firm’s work…along with some tasty photos. 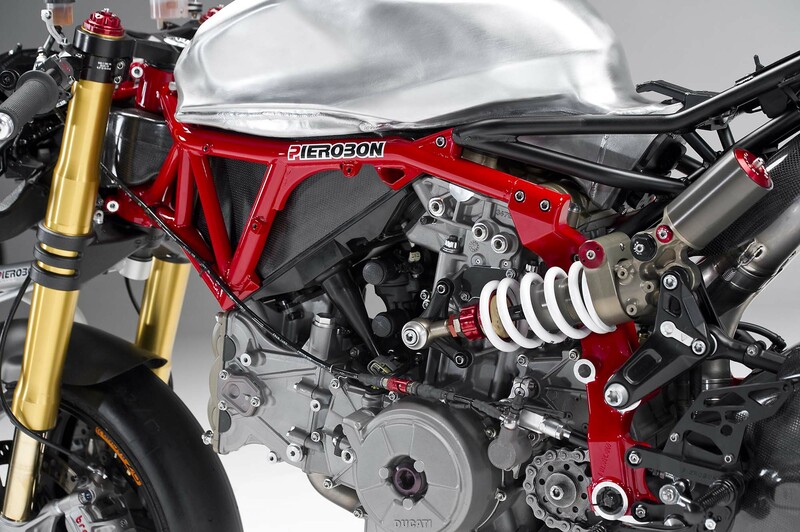 Pierobon says it wanted to build a chassis kit was to build a bolt-on frame that would replace Ducati’s “frameless” design, with a steel trellis creation. 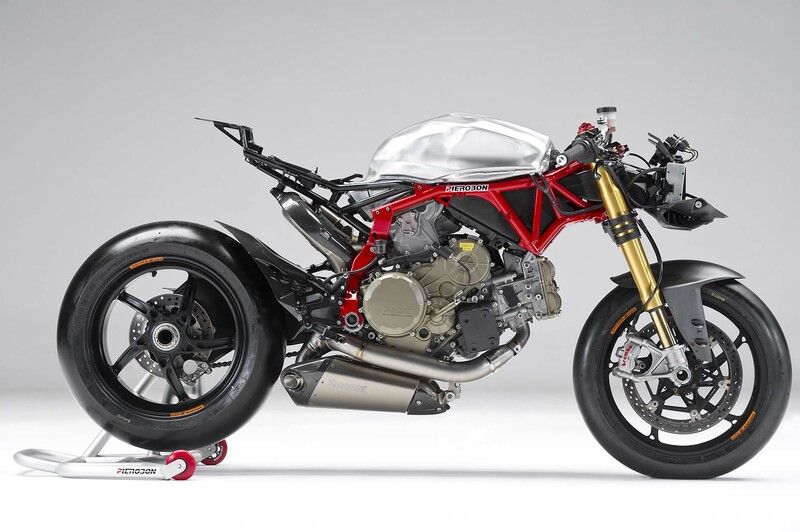 The project’s main goal was to add no further weight to the svelte Panigale, but also to bring the chassis stiffness into spec with the parameters Pierobon has shown on its previous machines (Pierobon X60R & Pierobon F042). 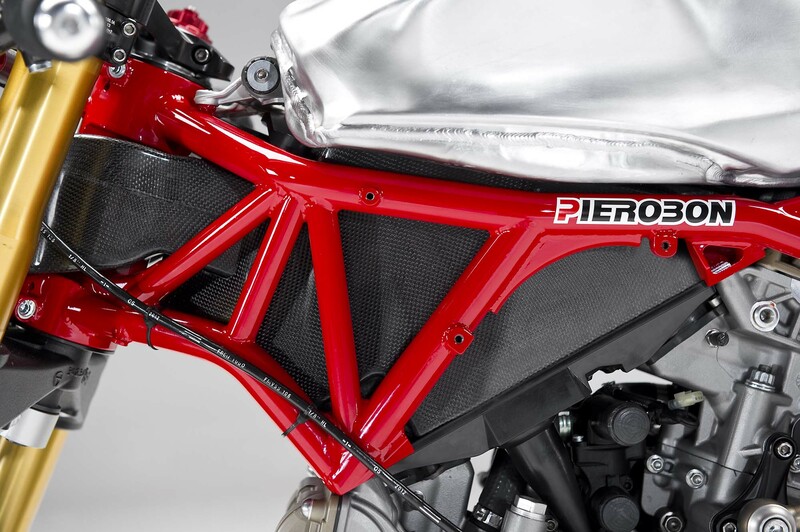 Using 28mm diameter steel tubing for the trellis work, Pierobon says it design meets the project’s weight criteria, and computer analysis suggests that torsional stiffness is right on point as well with the Bologna firm’s goals. 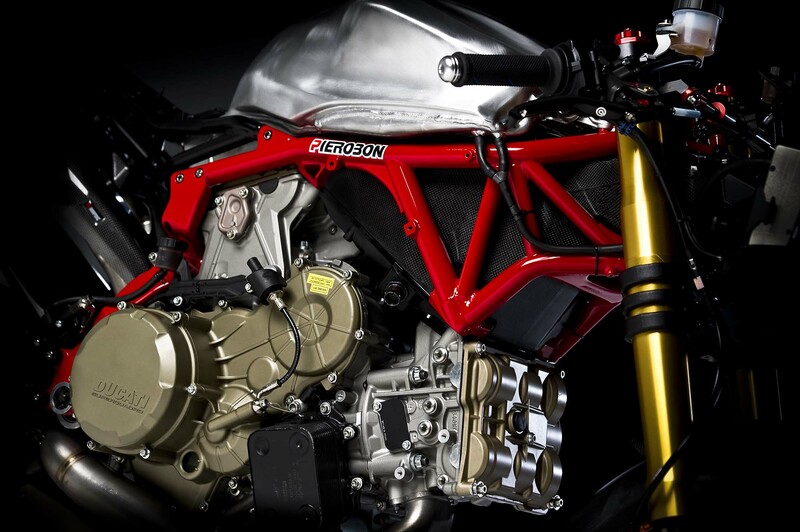 Now Pieorbon just waits to go riding on the track. 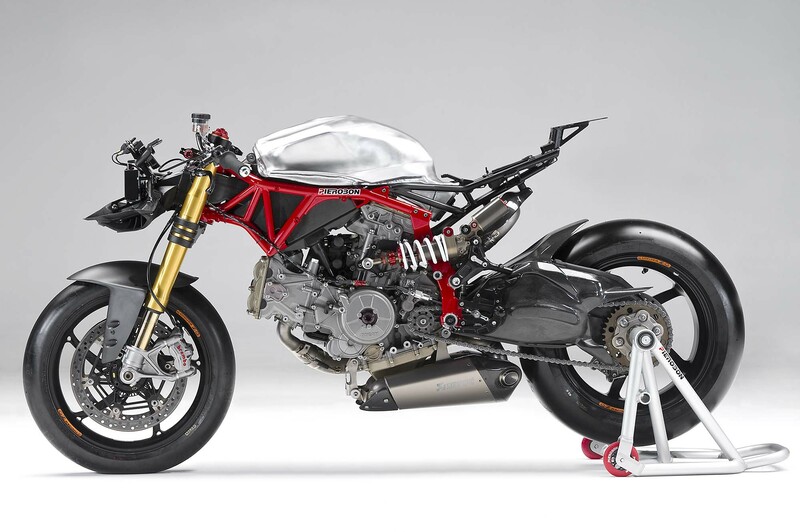 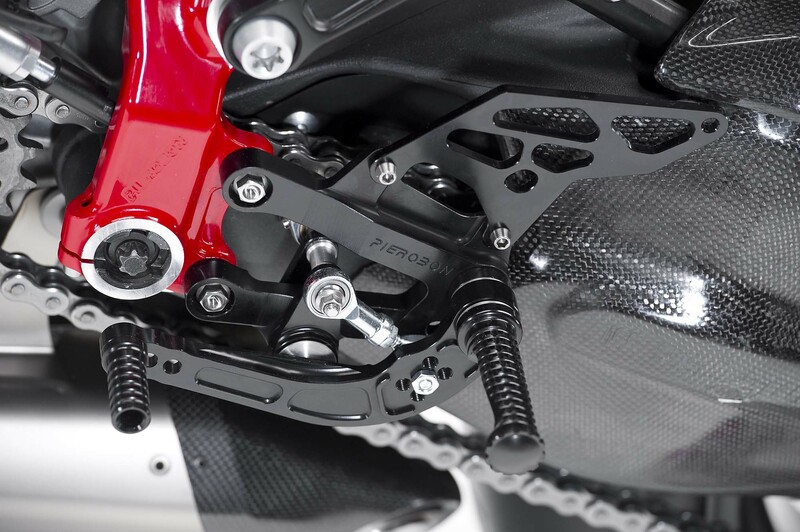 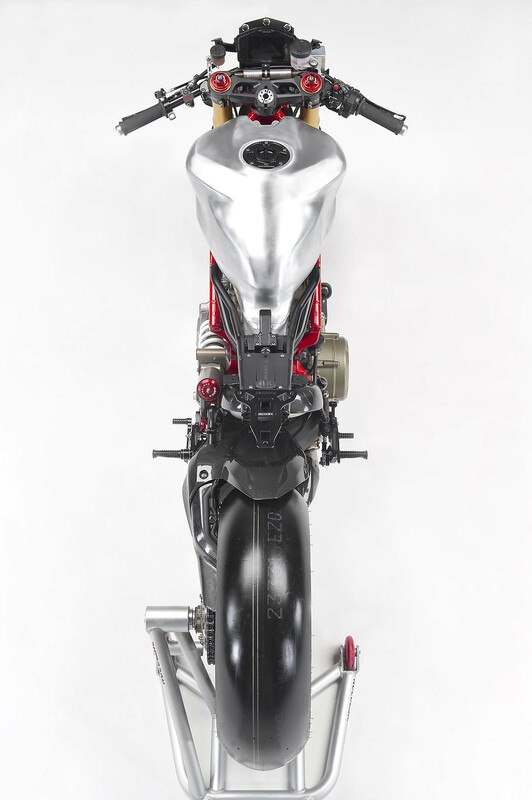 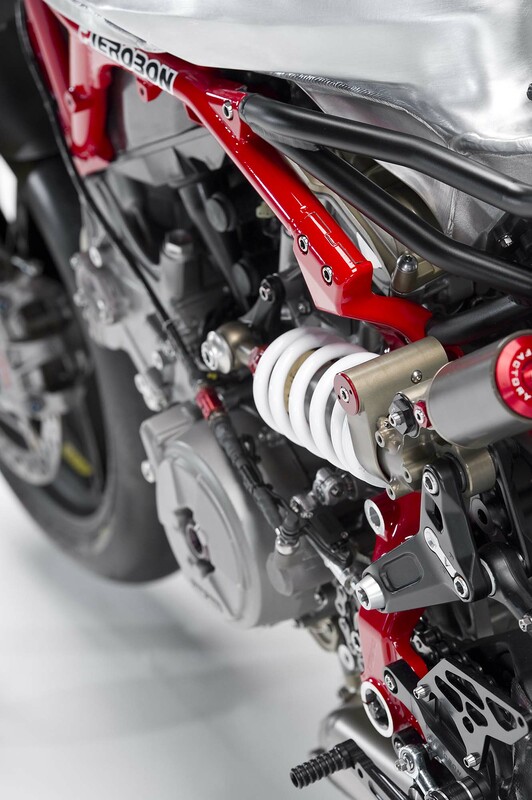 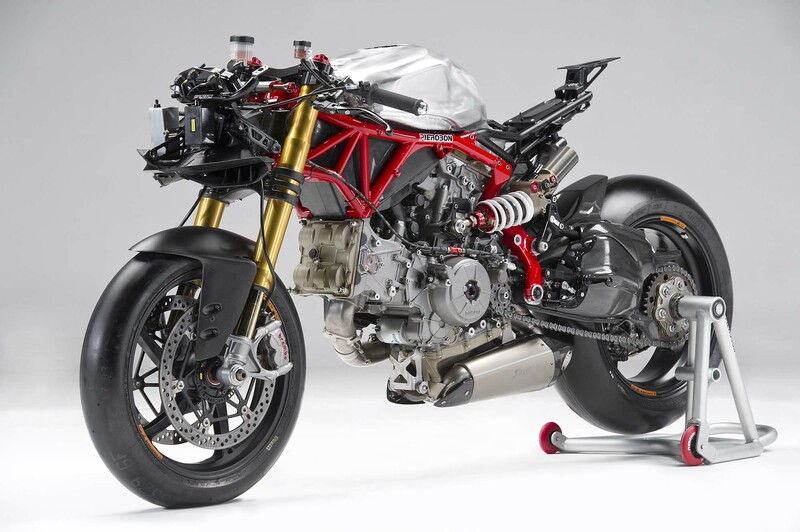 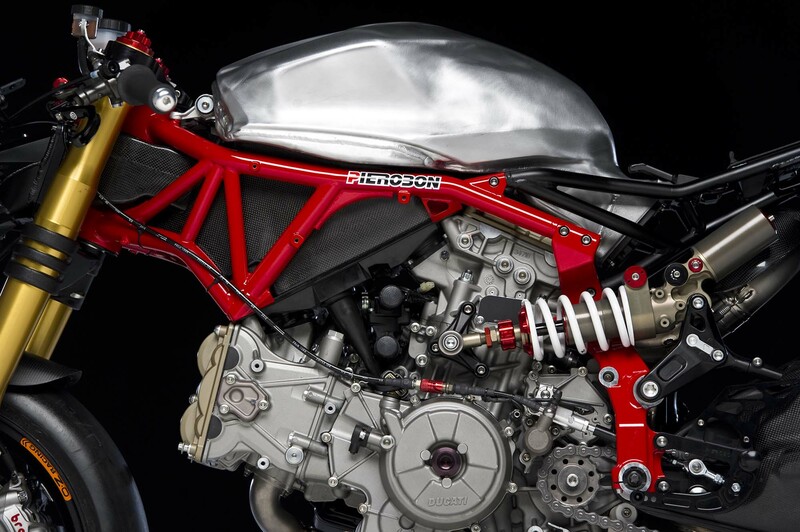 Building the trellis to include the swingarm pivot point, Pierobon’s design allows for engine swaps to be an easier affair on the Panigale, though the team had to employ some clever designing to make clearance for the side-mounted rear shock and to keep the weight of the overall frame down. 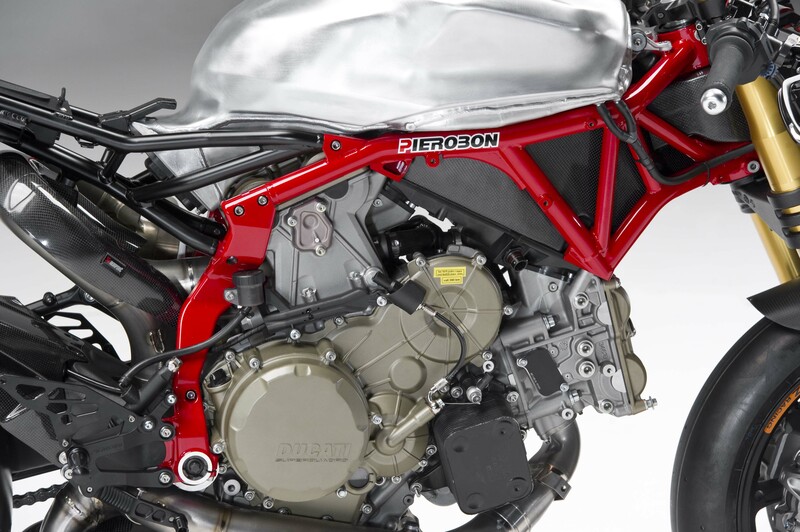 Pierobon also had to construct its own airbox for the trellis frame design, and the unit retains the same volume as the WSBK-spec Ducati 1199 Panigale RS13. 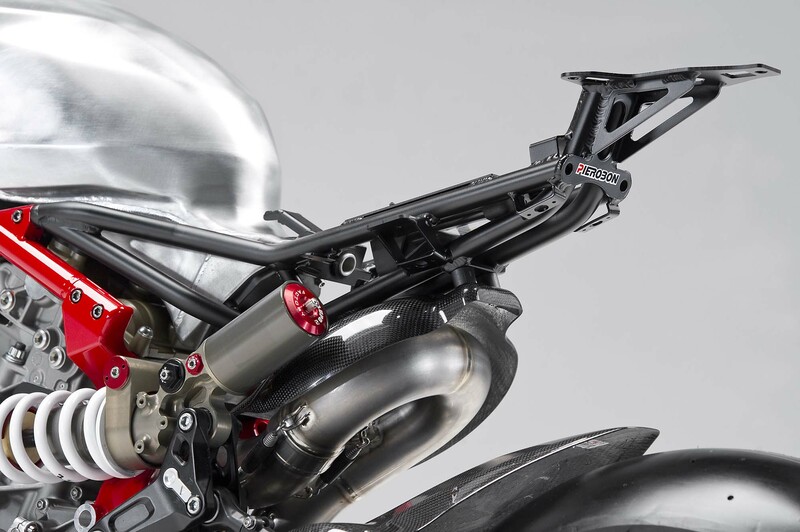 Another WSBK design is the rear subframe, which is of an aluminum-trellis design, and now connects to the main steel frame instead of the engine cylinder head. 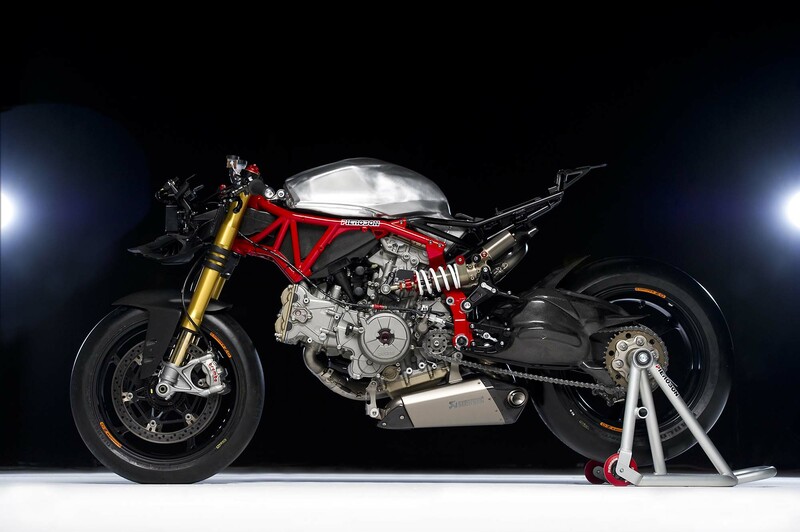 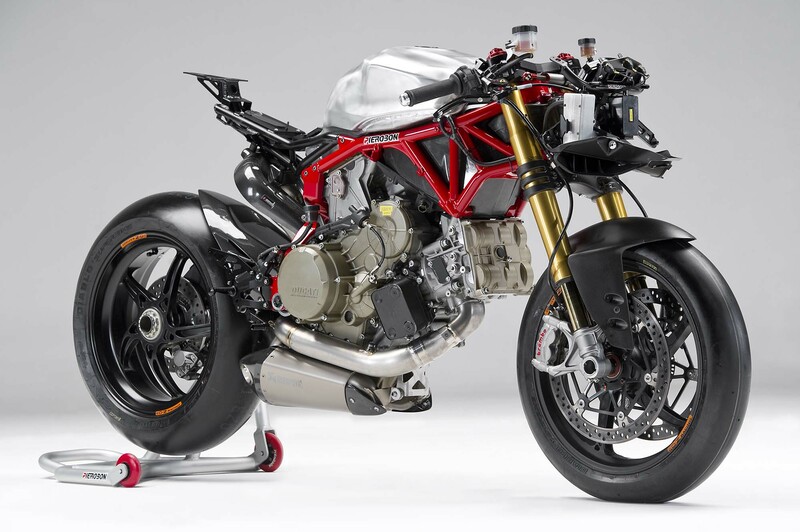 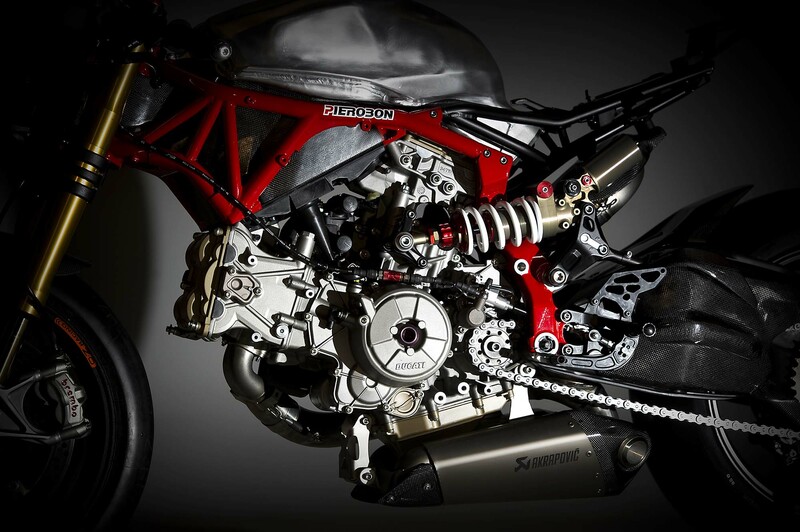 For those not in the know, Pierobon is the designer and maker of Alstare Ducati’s recent trellis rear subframe, and has shown that the design, along with a reformed fuel tank, helps the weight balance of the Panigale race bike. 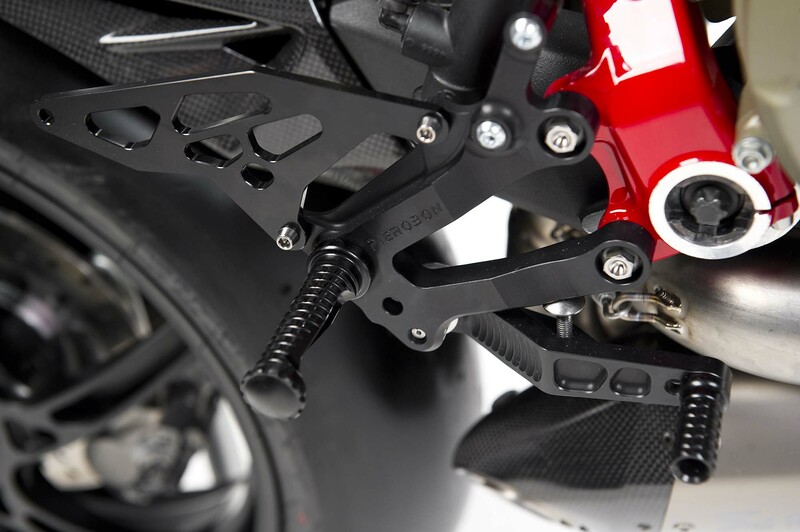 Other details include Pierobon’s own rearset configuration, made out of aluminum, which is a must-have consider how slippery the stock units are while riding aggressively.